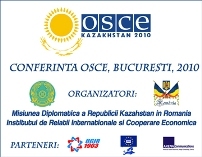 In September 2011 Tajikistan will mark the anniversary of 20 years of independence. It is a moment to contemplate with proud, as the country succeeded, in a short span of time, to build an independent administration, a powerful army, a strong economy and a society of social equilibrium and respect for citizen’s rights. 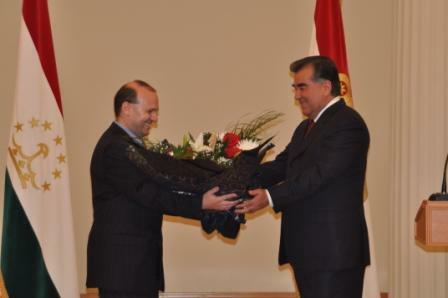 Especially the years of mandate of President Emomali Rahmon had paved the way for asserting Tajikistan role on international arena, for supporting the tajik art, culture and historic patrimony resurgence and are undoubtedly a renaissance era in the history of people of Tajikistan. Just a short counting of the Empires that have their political and cultural center in Tajikistan is impressive: Samanids, Ghaznavids, Kara Kitai, Mongols, Khorezem, and Timurid etc. Putting in the spot light this heritage, offering to the world the information`s necessary to understand that Tajikistan is one of the top art and civilization creators in the world, with an important contribution to world heritage, it is a necessity. 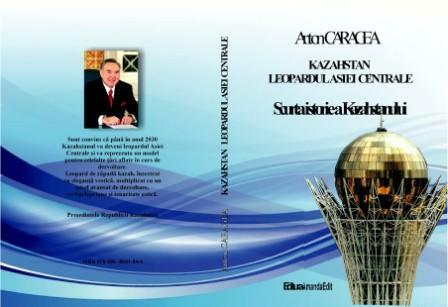 To respond to this necessity the Minister of Foreign Affairs of Tajikistan, the fine intellectual Hamrokhon Zarifi had succeeded in collecting with a passion of the art collector and the knowledge of the historian, documents, astonishing images and pictures of tajik arts and crafts trough centuries. The result is a monumental book: TAJIK ARTS AND CRAFTS TROUGH CENTURIES offering, in the front of the surprised and unfamiliar reader, the images of a rich culture and of an ingenious and extremely talented people that leaved a clear mark on history. 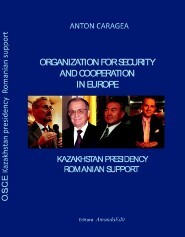 You are currently browsing the Anton Caragea blog archives for September, 2011.